What does a knowledge auditor do? What is the role of a knowledge auditor, and what is knowledge auditing? The objective of the audit is to look at the knowledge within the company, and see whether it is being properly managed. The purpose of the audit, and the job of the auditor, is to reassure the company and the shareholders that the intangible asset that is Knowledge is being properly looked after, much as a financial audit provides reassurance that money is being properly managed. A Knowledge Auditor has a much tougher job than a financial auditor. The invisible nature of knowledge, and the lack of a paper trail for knowledge transfer, compared to the fully documented and counter-signed world of money, makes knowledge auditing less of a science and more of an art. However a structured and evidence based approach works wonders. and other actions as required. View Original Source (nickmilton.com) Here. Sir Winston Churchill, the famous politician, used a 4-question Knowledge Audit when things went wrong. 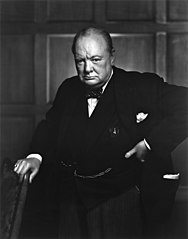 Sir Winston Churchill hated being surprised, particularly by bad news. He expected to receive an efficient flow of information and knowledge, and when he did not get the knowledge, he used a 4-question knowledge audit to determine where the knowledge flow was blocked. Why didn’t my advisers know? This concept of a leadership Knowledge Audit is a very powerful one. Thid blog has often discussed the knowledge bubble that leaders can get into, where they hear only what they want to hear, and are told only what people think they want to be told, resulting in nasty surprises such as Brexit. This can be a disastrous situation for a leader. Even more of a risk is that a leader can create systems in the organisation which are almost designed to create nasty surprises. Weick and Sutcliffe quote the example of the ferry boat “Herald of Free Enterprise” which sank offshore Belgium in 1987 with the loss of 193 lives. It sank because the bow doors had never been closed, it had not been ready for sea, but had put to sea nonetheless. The standing orders for “Readiness for Sea” were as follows. “Heads of department are to report to the master immediately if they are aware of any deficiency which is likely to cause their departments to be unready to see in any respect at the due sailing time. In the absence of any such reports the Master will assume, at the due sailing time, that the vessel is ready for sea in all respects”. Weick and Sutcliffe notes that this order fails Churchill’s knowledge audit in two ways. Firstly the heads of departments weren’t required to be aware that the vessel was seaworthy, only to report if they know that it wasn’t (“Why didn’t my advisors know”?). Secondly, if the Master heard nothing, he didn’t ask “where’s the report” – he just put to sea (“Why didnt I ask?”). In fact the person in charge of closing the bow doors had fallen asleep, and the reporting chain (which relied on reporting unreadiness, not readiness) had failed. The advisors didn’t know, and didn’t ask. They told the Master nothing, and the Master didn’t ask either. The Master was in an knowledge bubble – and the result was disaster. KM newsletter – the 6 types of KM Audit – which one is right for you? For those of you not on our newsletter distribution list, here is a copy of the Knoco April 2017 newsletter which was sent out yesterday. If you are not subscribed to this newsletter and would like to be, please subscribe using the button above. You’re receiving this letter because you signed up at knoco.com or ordered free templates from us. If you no longer want to receive this newsletter, please unsubscribe using the button above. This newsletter is a guide to the several different type of Knowledge Management Audit. Auditing your KM program is always a good idea, but you need to know the purpose of the audit before you start, and have a clear idea of what you will do with the audit results. Only then can you be sure what sort of Audit you need. Explore our user guide below to understand the audit options available to you. · An audit against a KM standard, for accreditation purposes. Contact Knoco for more guidance on the type of KM audit you may need. Most organisations already do some elements of Knowledge Management, even before formal Knowledge Management implementation begins. KM is, after all, common sense, and people have often made a start without even calling it “knowledge management”. However some critical elements of the Knowledge Management Framework are usually missing, and the elements which are present are often not joined up. Organisations usually commission a Knowledge Management framework assessment in the early stages of their KM journey,& to identify the gaps and to map out the actions for completing, and joining up, the framework. · The governance system which supports all of the above, and seeks to develop and maintain the required behaviours. 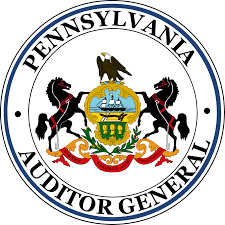 The audit is usually conducted through a series of interviews, or at a workshop. A typical Audit output will look at the status of all the component KM elements, indentify strengths and weaknesses, compare the organisation to Best in Class, and recommend actions to implement the ideal solution for the organisation. Culture is closely linked to KM implementation. A supportive culture will accelerate implementation while an unsupportive culture will slow or even block KM. However Knowledge Management is itself a culture change agent, and a complete KM framework will act to slowly change the culture. It’s worth performing a KM culture audit in the early stages of your Knowledge Management Implementation in order to map out the specific cultural blockers and enablers in your organisation, and then running it again at regular intervals to map the progress of culture change. · Relentless pursuit of excellence v complacency. This is the extent to which organisations acknowledge there is always room for improvement. Contact Knoco to learn about the cultural audit, or try a free online version. There is no doubt about the value added by knowledge management to an organization. But knowledge management requires also an investment and an effort from the responsible roles. One imperative consideration at this level is to prioritise the Knowledge Management activities, and to focus them on the knowledge topics of highest priority. · The risk of knowledge loss. A useful recommendation in this case is to implement a knowledge scan. Its aim is to high-grade the knowledge topics that needs more attention. The knowledge scan (or audit) helps you focus Knowledge Management where it brings the highest value to the organization (or where it reduces the risk of losing the knowledge). To keep Knowledge Management “fit” as the organization priorities change over time, we strongly recommend carrying out this exercise whenever the main goals change. It will help keep our framework updated and people and KM tools fully operational. Many companies introduce Communities of Practice as part of their Knowledge Management Framework. Communities are not an instant solution – they grow over time, and pass through several stages as they mature. A CoP audit allows you to track the development of the Communities of Practice, and the output from the audit can be used to plan the next stage of CoP development. Outputs like the one shown below can help identify which of these dimensions the CoP needs to work on to reach the next level of development. Contact Knoco for advice on CoP audit. KM maturity audits are common as a quick-look review of the current state of KM. At Knoco, we think these maturity audits are OK as a general guide, but believe that you need more detailed audits in order to draw any firm conclusions. Knowledge Management is more of a step-change than a maturation process, and using a maturity index for anything other than a single KM component such as a Community of Practice can be misleading. However is all you need is a quick-look review, then try our free online KM maturity audit. At the moment, there is no international standard for Knowledge Management which you can be audited against. However an ISO standard is under development and should be released for public review later this year. Once this standard has been reviewed and published, we will at last have an internationally agreed management standard for KM which will provide the basis for internal and external audit. Until then, watch this space! Take part in our 2017 survey of Knowledge Management, and we will give you a free copy of the 2014 results, as well as the 2017 results. In 2014 we organised one of the most comprehensive surveys of global knowledge management ever devised. The results were fascinating, with insights about the maturity of KM by region and sector, the size and composition of KM teams, the value delivered by KM, the technologies, processes and governance processes applied, and details of communities of practice, lesson learned systems and best practice approaches. This year we are running the survey again, to see what has changed in the last 3 years. Anyone who takes part will be rewarded with a link to a free copy of the 2014 results, as well as being sent a set of 2017 results when the survey closes. If you can answer on behalf of an organisation that does KM, or has done KM, or plans to introduce KM, then please follow this link and take the survey. Bear in mind that the comprehensive nature of the survey means it may take up to an hour to complete, but this also means the results are equally comprehensive and rich, so your time is well worth investing. Feel free to take the survey now, and/or forward this newsletter to any of your colleagues. Some updates from across the Knoco family are listed here. · Knoco Indonesia will conduct the 2nd Indonesia KM Summit in Yogyakarta, Central Java – Indonesia on 8-9 August 2017. Contact Sapta for details. Knoco is the registered trademark of Knoco Ltd.